The Science, Engineering and Classroom Complex is a group of interdisciplinary research and classroom buildings that house the Science and Engineering Departments. 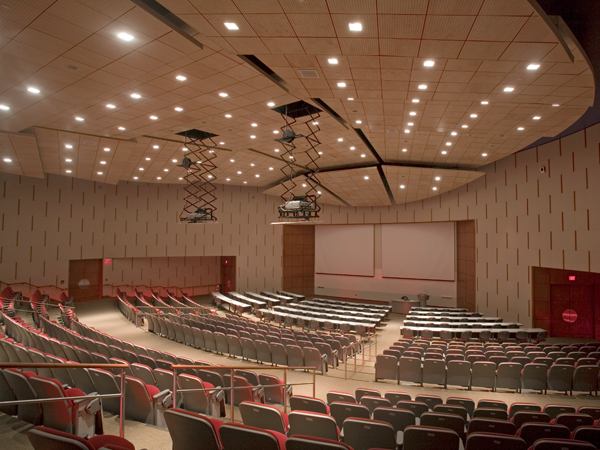 The facilities include a five-story laboratory building, a two-story classroom building, and a 550-seat teaching auditorium. 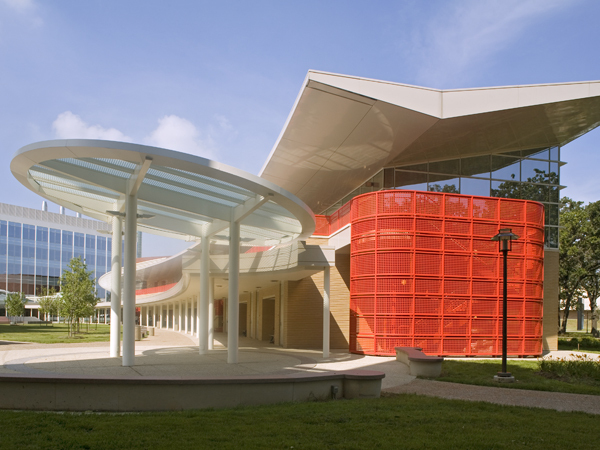 An exterior arcade, anchored at each end by a glass pavilion, links the buildings. The pavilions provide a shaded space for informal gatherings and interaction among scientists, researchers and students. A green central courtyard and water sculpture unifies the three elements with the surrounding existing facilities. The five-story building contains 40 laboratories and is designed for maximum flexibility to accommodate the needs of diverse disciplines. The building is clad in two different curtainwalls to best respond to the solar orientation of the site. 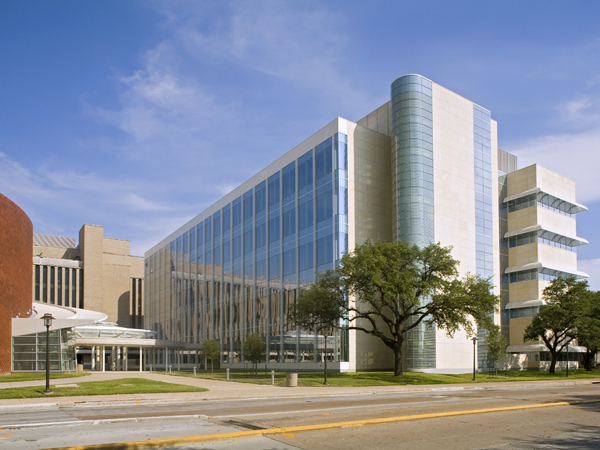 The South curtainwall is limestone with narrow ribbons of glass protected from the sun by perforated metal sunshades. The North curtainwall is primarily glass with metal spandrels. 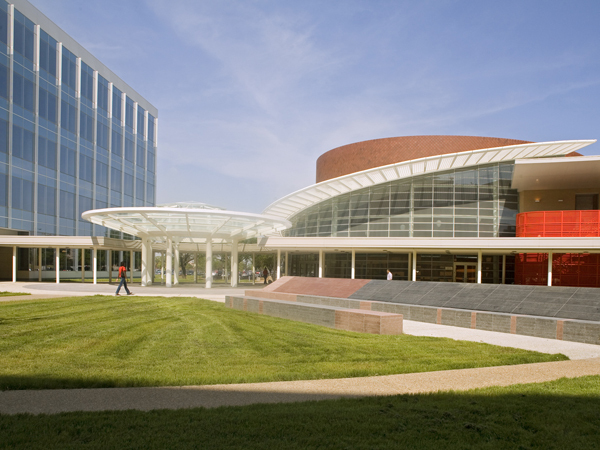 The two-story classroom building contains 11 lecture halls that arc around the courtyard and the water sculpture. The building is clad in a buff colored brick wall with glass and metal windows. The auditorium is an oval shaped structure enclosed in a diamond-patterned dark red brick wall. The auditorium is centrally located between the classroom building and the laboratory building.